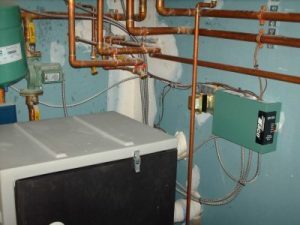 Gelinas HVAC Services offers Old Orchard Maine plumbing services to residents as well as commercial businesses in the Old Orchard area. Our plumbing services include service/ repairs, replacement of existing fixtures and systems, kitchen and bath remodels, energy efficient upgrades, drainage, sump pumps, sewer/septic, winterizing of seasonal rentals, and irrigation/garden sprinklers. We always offer free consultations and estimates. Call Gelinas today at 207.885.0771 so we can provide Old Orchard plumbing services!